As Hooton Tennis Club annouce their debut LP on Heavenly Recordings, Getintothis’ Adam Lowerson has all the details. 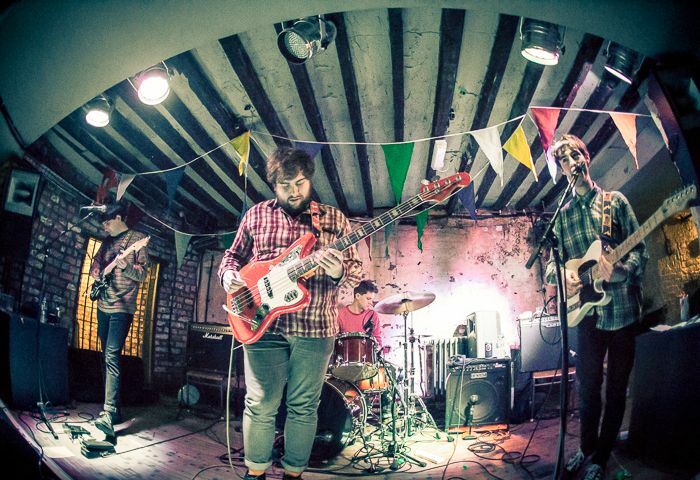 GIT Award 2015 nominees Hooton Tennis Club have announced they will release their debut album Highest Point in Cliff Town on August 28, via Heavenly Recordings. They have also revealed the music video for their latest single, Kathleen Sat on the Arm of Her Favourite Chair, which you can watch below. The LP was recorded at Liverpool’s Parr Street Studios and produced by former Coral man Bill Ryder-Jones, and follows the release of their debut single on Heavenly, Jasper, which was launched earlier this year with a release party at the Shipping Forecast. The band have enjoyed a meteoric rise in little over a year, having first released a number of demos via Edge Hill University’s The Label Recordings, which was launched by The Farm’s Carl Hunter. After releasing a couple of tracks it wasn’t long before the band were snapped up by Heavenly in 2014 following a slot at Liverpool Sound City 2014. The announcement follows the news that the band are set to perform at Heavenly Recordings’ 25th anniversary celebrations at an all-day event at the Kazimier and adjacent Gardens, alongside fellow Merseysiders Stealing Sheep, as well as The Wytches, King Gizzard and the Lizard Wizard, The Voyeurs plus other artists and DJs from the label. Hooton Tennis Club are also set for a busy summer with performances at Glastonbury Festival, End of the Road, Green Man and Festival No. 6 in the pipeline. 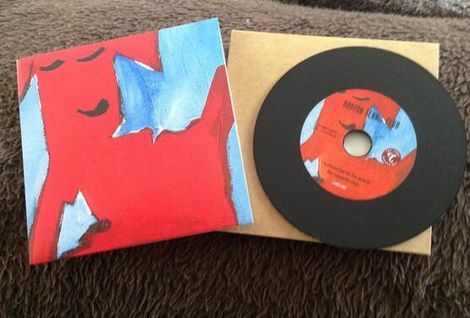 The single, which is released on Monday June 29 is available on 7” featuring the B-side New Shoes. 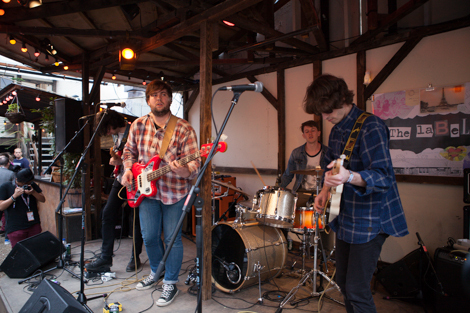 Read our full interview with Hooton Tennis Club here.